Rumor has it that LinkedIn may be the up and coming advertising player in 2019. Sure, they’ve offered advertising services for years now, but up until recently, LinkedIn has really nailed down the craft of being an ad service provider and a social media network. What really helps set LinkedIn ads apart from other social media advertising platforms (e.g., Facebook), is their B2B targeting options. B2B marketers flock to LinkedIn because that’s where “all of the professionals” are. 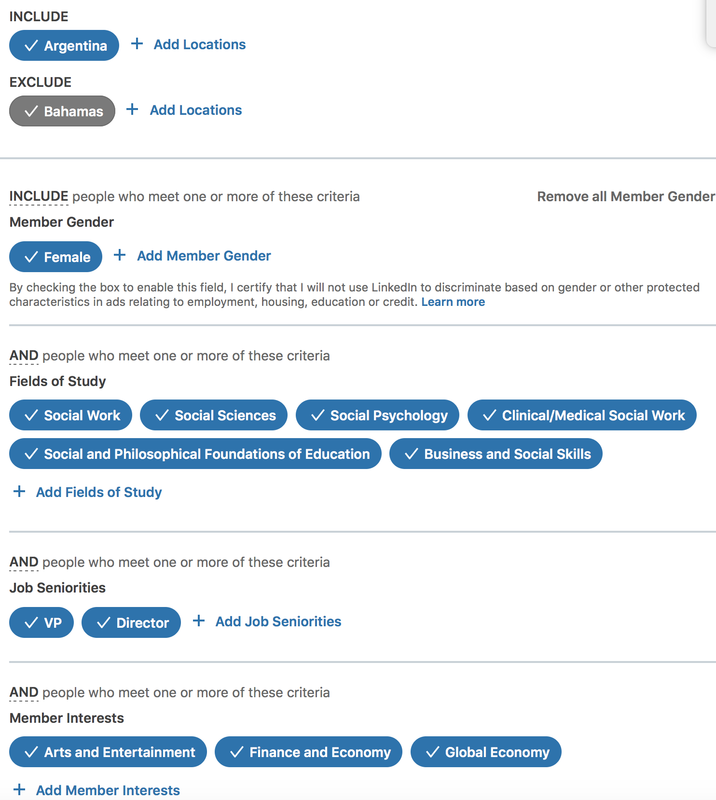 Knowing this, LinkedIn has optimized their targeting options to allow marketers to really hone in and be able to connect with those specific professionals. Want to focus on the healthcare industry? You can target it with LinkedIn ads. Want to reach CEOs of investment firms? Yep, you can reach them with LinkedIn ads. Want applications from college graduates who are general managers of natural food grocery stores? You can get real close to them with LinkedIn ads, as well. Because of that B2B option, many business owners are heading to LinkedIn with their budgets this year. That’s not to say they aren’t advertising on Facebook, too, but depending on their budget they may be heading to LinkedIn first. Do keep in mind that with LinkedIn the cost is going to be a lot greater than Facebook, so make sure you’ve got the cash to play before you sit down at the table. Have the cash and ready to be dealt a hand? Let’s go over some ground rules first. LinkedIn used to be extremely limited with their advertising options, leaving hardly any room for advertisers to really accomplish their goals. That has since changed and will continue to change throughout 2019, adding more freedom for advertisers. Nowadays with LinkedIn ads, you get to create ads based on what you need to achieve. Don’t worry, I won’t spend three paragraphs going over how you need to define your goals before you advertise. You already know what you need to achieve and have your goals in mind. 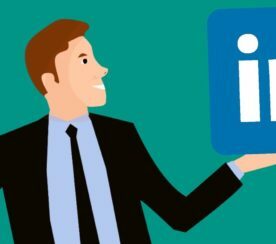 The most commonly used objectives with LinkedIn advertising is lead generation, job applications, and a safe-tie between video views and website visits. Organic engagement on LinkedIn is already a deck dealt to just about everyone on LinkedIn. 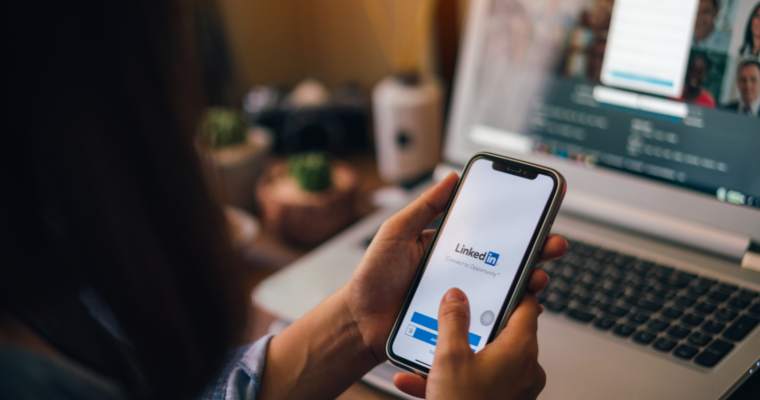 Since LinkedIn’s algorithm isn’t as picky or finicky as Facebook’s, putting all of your budget toward LinkedIn engagement ads may not be the best or most affordable bet for every business. I suggest choosing an objective that is a bit more direct like job applicants or website conversions. You’re generally going to be paying more on LinkedIn for each accomplished objective, so get to the point and be a bit more blunt with how you chose your ad objectives in 2019. Think of this like a promoted post. You’re promoting an article or post from your company page that appears in the LinkedIn feed. These ads do have the highest CPC on average so proceed with caution and make sure the content you’re promoting is well thought out. These are the tiny little ads you may or may not notice on the right side rail of a LinkedIn feed. Think Facebook Ads circa 2010. Aside from the right column, these ads may appear underneath the “People You May Know” section. This is where text content can really make or break your ad conversions. Test a few different strategies but really get to the point with these ads. This is a super fun way to spam someone’s LinkedIn inbox. But, when done properly, can actually convert higher than any of the other LinkedIn ad options. 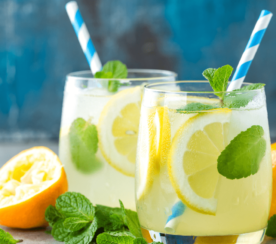 Because these ads need to come from a personal profile versus a branded business page, people feel less like they are being sold and more like they can actually communicate with a representative of the business. Just please don’t copy and paste templates to me or any of your demographic. Make sure and make each InMail personal. A bit self-explanatory here, but LinkedIn’s video ads help promote your videos to your ideal target market. You should be creating a ton of video content, it is 2019. Test various videos to see which type of video (topic, length, real life/animation) gives you the most conversions. Who is your demographic, more than just male/female, age/location? Have they worked in the same industry their whole lives? Are they generally lower management or upper management? Do they hold onto their job for 2-4 years each position? Do they follow Richard Branson on LinkedIn? You know the answers to all of these questions, and if for some terrible reason you don’t, find out the answers. LinkedIn gives B2B marketers amazing targeting options, but it can only help your ads convert if you truly know the professional side of your demographic. Knowing how they take their coffee is great for Facebook, but on LinkedIn in 2019, you need to know what they studied in college, if they even went to college, and select those targeting options. Note: You can attract a whole lot more than just CEOs with advertising on LinkedIn. Many businesses assume LinkedIn ad targeting is only great for targeting the big boys and girls, but it isn’t. Those looking for jobs or are in lower level positions with less experience, even those who just graduated from high school or college, are perfect targeting options for LinkedIn ads. LinkedIn gains over 120 members every minute so the variety pool is there. Not everyone needs to know how much success you’re having from advertising on LinkedIn, but you do. There are tons of different methods in LinkedIn ads to track the success and failures of your ads, but here are a few conversions tracking techniques you want to make sure you have setup. This tag gives you the 411 on what actions are happening on your website thanks to your LinkedIn ad. Like the Facebook pixel, you can install this tag once and watch the data come in. It won’t mess up the speed of your site either, but it will allow you to track what’s happening on your website as a result of your LinkedIn ad. BONUS: You can also setup LinkedIn retargeting ads once you have the Insight tag installed and a steady amount of site visitors. This type of tracking pixel is created more for the lead-gen type of objective. Say you have a form you want someone to fill out from your LinkedIn ad but you don’t have a thank you page setup or connected. You can install this code and still have a “conversion event” tracked each time the form is completed. You can also add conversion tracking to existing campaigns – so fear not those who haven’t set up conversion tracking. LinkedIn offers Content Suggestions for business pages to help guide them on what they should write about. Think outside of the box on this one and use trending topic ideas for ad headlines and descriptions. The Content Suggestions are super easy to use and you can even target those Directors and CEO’s you’ve been eyeballing. 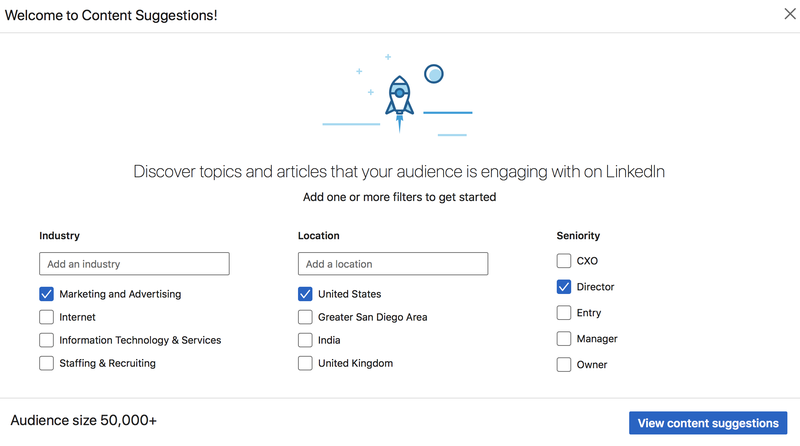 Simply chose the industry, location, and seniority you’re targeting and LinkedIn will generate the latest trending topics for those designated filters. Sick of dealing with layoffs? So Were We Until We Tried This. Done Being the Jerk? Over Laying People Off? Click Here. If an article is trending it’s because people liked it, they engaged with. Don’t you want those same people to like and engage with your ad, too? Of course, you do. LinkedIn is certainly a great advertising option for B2B marketers in 2019. There’s plenty of different techniques to try with LinkedIn ads, but the most important thing you can do is to really watch what LinkedIn is doing and what new features they continue to roll out throughout the year. 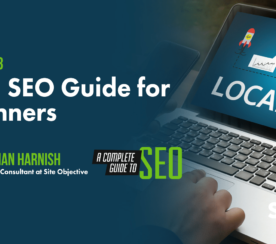 As they increase their objectives, ad types, and add fun features like Content Suggestions, it only opens up the playing field and gives marketers even more chances for success.